Do you own an Isuzu truck that is damaged, accident condition or just old? If your answer is yes, don’t worry: your Isuzu is still worth top dollar! At Isuzu Truck Wreckers Adelaide, we pay top cash for your Isuzu, up to $9999. Contact Isuzu Truck Wreckers Adelaide for an instant cash quote. 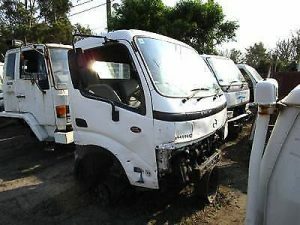 The better the wrecker, the better the cash deal you will be offered for your Isuzu truck. Isuzu Truck Wreckers are widely recognised as being Adelaide’s number 1 wreckers for trucks, and for good reason! Selling your truck can often be a time consuming and laborious process with a lot of hassle: selling to a private buyer can take months and other options can leave you being taken advantage of by sellers. This is why it’s important to ‘Sell your Trucks’ to someone you can trust. Isuzu Truck Wreckers Adelaide are Adelaide’s most trusted truck wrecker and pay top cash up to $9999 for your ISUZU. There is no need to prep your Isuzu before selling it to us, we will buy it ‘as is’! You will receive an accurate and competitive price for your Isuzu. Contact Isuzu Adelaide Truck Wreckers on 0477 413 136. When selling your Isuzu truck, there may be some businesses who might try to take advantage of you and offer you a price much lower than what you deserve. On top of this, some businesses have a set price that they offer, which means they won’t consider the actual value of your Isuzu. Isuzu Truck Wrecker Adelaide don’t have the reputation as being Adelaide’s most trusted wreckers for nothing: we provide accurate evaluations of your Isuzu so that you can get the competitive and agreeable offer that you deserve – up to $9999 in instant cash. First, you get an instant quote on the phone or through our online form. 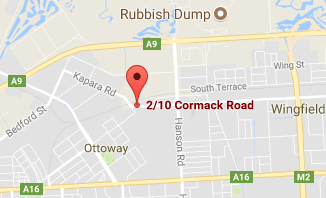 If you accept our non-obligational offer, we can then schedule the free truck removal anywhere in Adelaide. We will arrive at your place to collect the truck. All paperwork and payment can be done on the spot and your Isuzu is towed away for free. Simple and hassle-free – that’s the way we do it! Our reliable Isuzu truck wreckers have years of experience and knowledge. We are fully qualified specialists in truck wrecking and have an exceptional knowledge of Isuzu vehicles. For an instant quote for your Isuzu vehicle, contact Isuzu Truck Wreckers Adelaide at 0477 413 136 or through our online form.